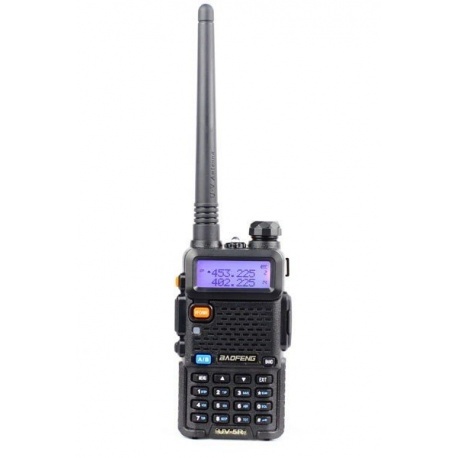 Transceiver walkie-talkie type, genuine Baofeng UV-5R is a handheld dual band VHF/UHF, ultra-compact, TX and RX 136-174MHz / 400-520MHz with 5 watts FM, equipped with an FM radio and a LED lamp. 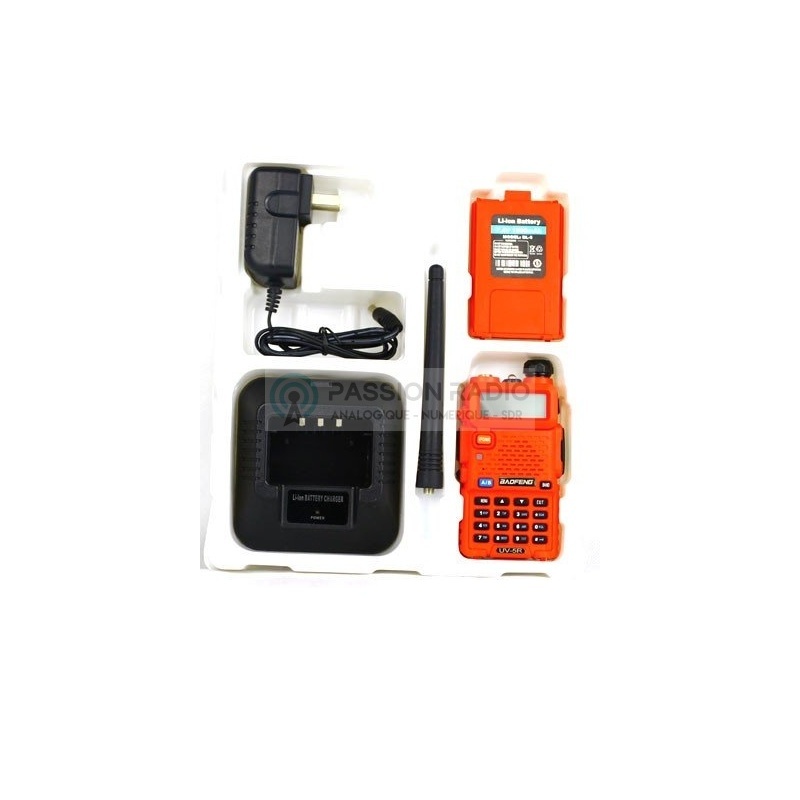 Download english manual of Baofeng UV-5R in the Download tab below. Comes complete with: Genuine Baofeng UV-5R, power desktop charger, headset microphone wire, belt clip, dual band antenna, battery, manual in English. 2 years waranty by Passion Radio Shop. New UV-6R version: Better sensitivity and better reception, with a larger antenna. Antennas compatible with the Baofeng UV-5R talkie to improve range: SRJ77CA Diamond Antenna (40cm), Nagoya NA-771 (39cm) and NA-702 (30cm). 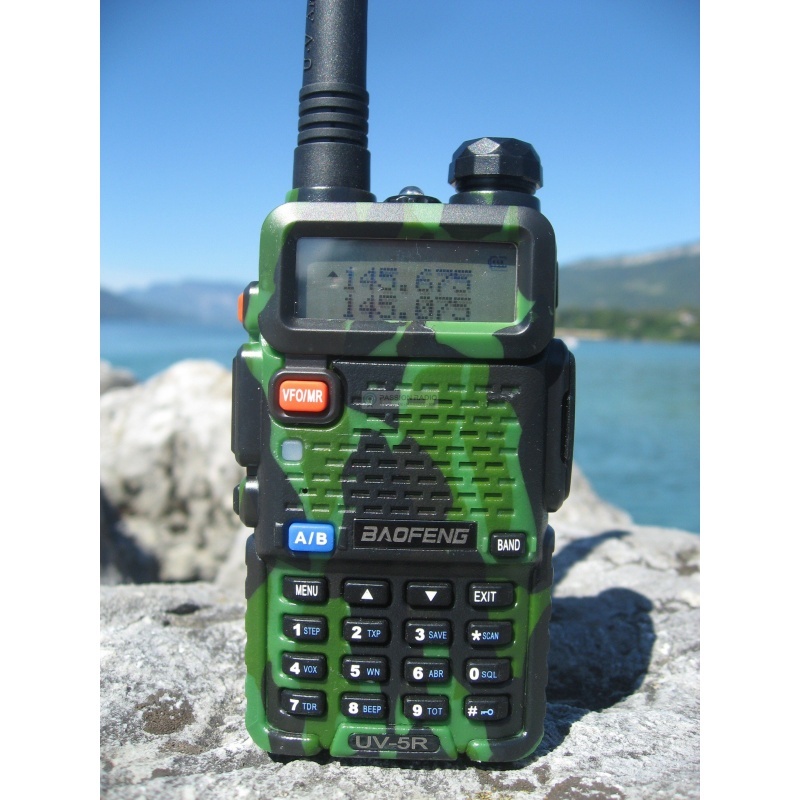 Description: Transceiver walkie-talkie type, genuine Baofeng UV-5R is a handheld dual band VHF/UHF, ultra-compact, TX and RX 136-174MHz / 400-520MHz with 5 watts FM, equipped with an FM radio and a LED lamp. Download english manual of Baofeng UV-5R in the Download tab below. Comes complete with: Genuine Baofeng UV-5R, power desktop charger, headset microphone wire, belt clip, dual band antenna, battery, manual in English. 2 years waranty by Passion Radio Shop. New UV-6R version: Better sensitivity and better reception, with a larger antenna. Antennas compatible with the Baofeng UV-5R talkie to improve range: SRJ77CA Diamond Antenna (40cm), Nagoya NA-771 (39cm) and NA-702 (30cm).